As yesterday marked the one month anniversary of the release of the Neo Geo X, we thought it would be the perfect time to reflect on what games we’re most anxious to play next. 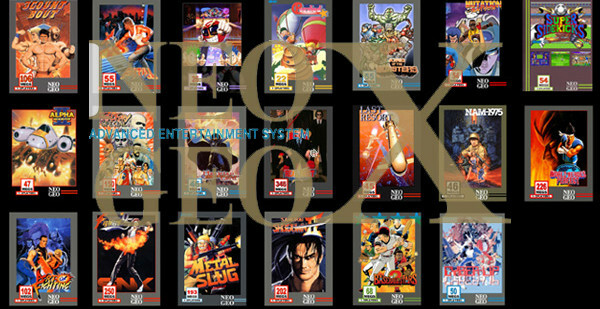 From The Last Blade to Bust-a-Move, these ten titles represent the best genres the Neo Geo platform has to offer and would make perfect additions to the console via game cards. After all, we’ve played so much NAM-1975 that we’re having war flashbacks; and so much Mutation Nation that we’re having nightmares. What do you get when you cross anime with a conventional 2D fighter? Why Waku Waku 7, of course! WW7 is one of the lesser known fighters on the Neo Geo (which is a travesty, by the way), yet it’s absolutely delightful. 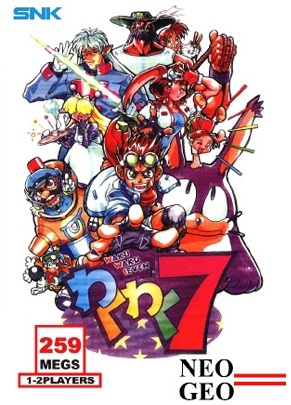 As indicated in the title itself, the game features seven playable characters (with an additional two if you’re playing the versus component) and feels both familiar and new in terms of gameplay. While it offers a few unique mechanics, it’s mostly what you’d expect from an SNK fighter. Why it ends up being so special though, is a result of super tight gameplay. In all honesty, Waku has some of the soundest mechanics of all Neo Geo games. When coupled with the vibrant graphics, high production values and some awesomely zany super moves, Waku Waku 7 is truly a cut above the rest. Nothing says a good time like a solid puzzler. 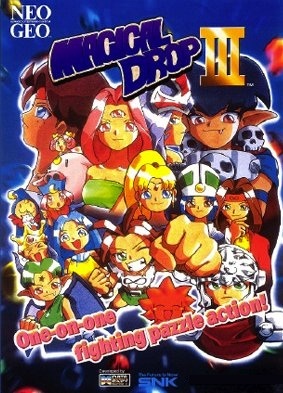 Magical Drop III is the third installment in a franchise about which i too often forgotten. Although it’s not the final chapter in the series, it’s the most refined of the bunch. Offering typical Magical Drop gameplay akin to something like Bust-a-Move, this third game is all about quick decision making, feverish action and responsive controls. The game’s prized attribute is its Magical Journey mode; an expansive experience similar to playing a board game where players traverse a world map space by space in order to reach a final battle that is heinously challening. The truth is, Magical Drop III offers some of the fastest, toughest puzzling around. 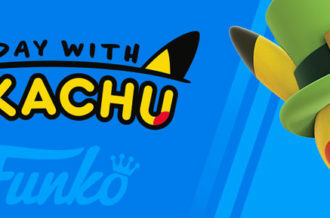 It’s also huge to boot, thanks to all of its features such as the Challenge and Survival modes, 16 playable characters, as well as the ability to go head-to-head with a buddy. This is a deep puzzle game that sits in the upper echelon, not just on the Geo, but on any system. Another fighter? Yep, another fighter. 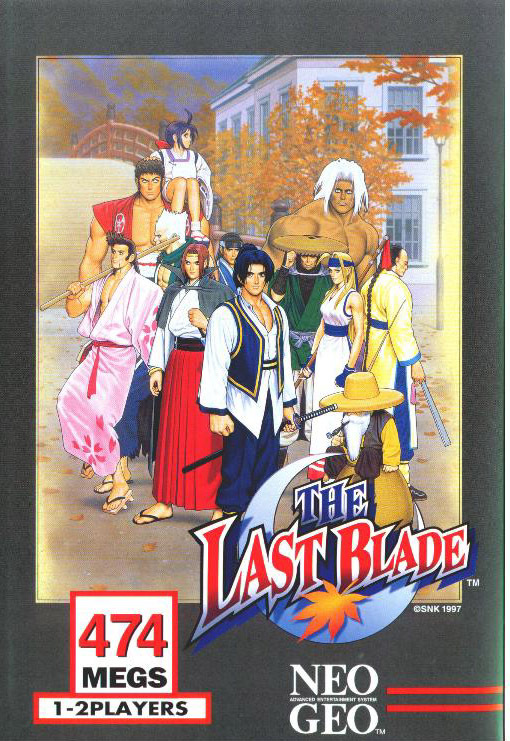 Much like Samurai Shodown, The Last Blade is a weapon-based brawler considered to be the spiritual successor to the Shodown series. It’s thought of this due to how it’s setup, which provides two selectable fighting styles, a distinct combo system and the much adored “deflect” feature. Most notable is the ability to choose one’s play style, which is broken down into “Speed” and “Power” modes. The former lets players chain together normal attacks into super moves, and also to unleash speed combos, while the latter increases damage output and huge special attacks, at the cost of needing low health to execute. The best part about The Last Blade is its reception from fans and critics alike. In fact, some consider it the finest fighter on the console. Though that’s a matter of personal preference, really, one cannot deny the simple fact that its unique selling points are what set it apart from the crowd. It’s gorgeous, fluid fun, and highly recommended to anyone who enjoys vigorous fighting games. Sengoku 3 is one of the least known but most well-executed side-scrolling beat ‘em ups on the Neo Geo. Releasing toward the end of the console’s life cycle, developer Noise Factory had a robust understanding of the hardware, and because of that, produced an experience that is indescribably remarkable. With some of the flashiest sprite work around, Sengoku is visually stunning. This coupled with the distinct characters, makes the game a real joy to watch. But it’s more than just a pretty face; Sengoku 3’s gameplay is the best of the best. Providing players with a slew of combos and ninja arts to master, alongside a number of hidden items to collect, mini-bosses to combat, branching paths to explore and a variety of enemies to take on, Sengoku 3 feels whole and original in all respects. It’s unfortunate that so many people don’t even know the game exists. For those lucky few that have sat down with it however, they know the astounding level of polish it exudes. As one of the best beat ‘em ups on the console, it would be criminal if more people weren’t able to play it again by way of the NGX. 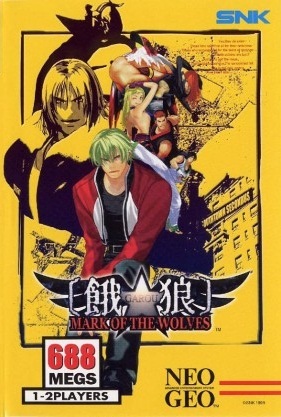 Garou: Mark of the Wolves is perhaps one of the most coveted fighters on the Neo Geo. It’s a fighting purist’s dream, thanks to being damn near perfect. At the time of its release, the Geo was already overrun by an army of excellent brawlers that came in all shapes and sizes. Competition was stiff, and regularly it felt like SNK was eating into its own market, making gamers choose between which fighter they’d plunk their money down on. To stand out, it took something special — it took that special “it” factor that’s often unseen but undeniably felt and noticed on some level, conscious or unconscious. Mark of the Wolves possesses that quality. Consequently, the game is head and shoulders above its rivals, alchemizing several key components that make a fighter truly excellent: pitch-perfect mechanics that are intricate and rewarding, a gorgeous presentation and a great roster of characters. Above all else, Mark of the Wolves introduced several new systems to the SNK line of fighters: the “Tactical Offense Position” and “Just Defend” systems. 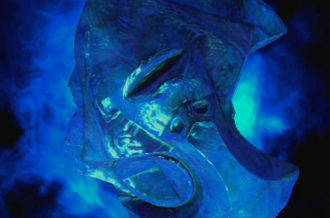 The first allowed players to build up a gauge in order to use special T.O.P attacks, recover life over time and have their attack damage increased temporarily. This, by nature, fashioned a whole new layer of strategic depth that kept competitors on their toes. The “Just Defend” system essentially rewarded players for successfully blocking attacks at the very last moment by granting them a small health recovery and the opportunity to launch a fast counterattack. With these and its other central features, Mark of the Wolves is the pinnacle of Neo Geo gaming and needs to be on the NGX. It defined and redefined the system all at once; a feat not attainable by most games. If there was only one game on this list I could ensure made the cut, it would be Mark of the Wolves, hands down. As its release coincided with SNK’s launch of the Neo Geo CD, Bust-a-Move (also known as Puzzle Bobble in other territories) never saw an AES release. It did, however, get a very successful MVS run that remains in arcades to this day. 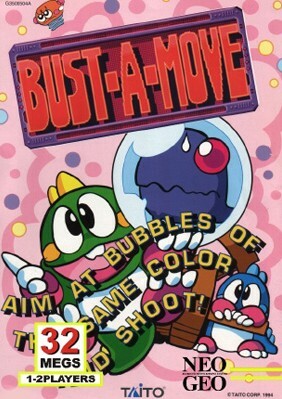 The concept of the game is simple: move a pointer left or right controlled by two dinosaurs that shoots colorful bubbles. If three or more bubbles of the same color are connected, they pop and fall of the stage. A level is completed by clearing all bubbles from the stage. Bubble patterns get more difficult and speed increases as the game continues, making it quite the challenge. Quite frankly, it’s one of the best puzzle games ever released with its timeless formula that players could just as easily spend five minutes on as two hours. Its approachable gameplay and lasting appeal is the perfect fit a handheld game console — something proven with its Neo Geo Pocket Color release in 1999. 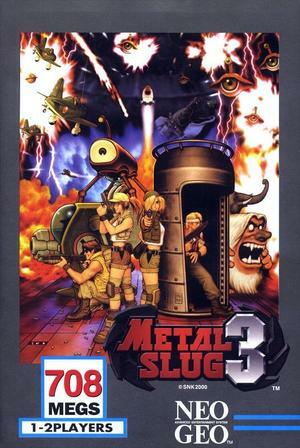 We came close to including every Metal Slug title on this list, but thought that’d be cheating, so we went with what is arguable the strongest entry: Metal Slug 3. Even if you disagree with it being the crown jewel of the series, it’s at very least the its most played title. 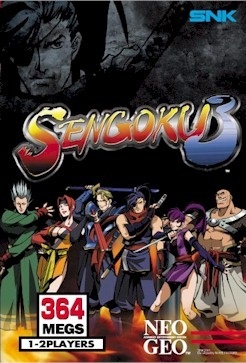 Making its AES and MVS debut in 2000, the game proved such a surprise hit in the arcades that it was ported as a full retail release to the PS2 and Xbox a few years later. The AES version of the game never saw release in America, as our fickle tastes had already moved on to the likes of the Dreamcast, but in Japan where old systems die slow (if at all), it received a full retail release that can now easily fetch over a grand. While the gameplay is largely the same as other Metal Slug games, and just as fantastic, it’s notable for adding a few new important features to the series, including a branching past system, multiple new slugs and zombie form. All that plus some of the best level design the series has to offer makes this Metal Slug the one we’re most excited to play. 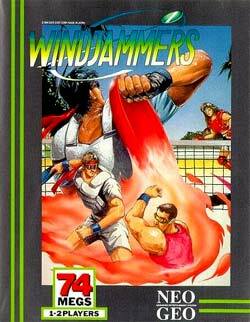 Windjammers is like a super advanced version of Pong and Air Hockey. While that statement may sound lame at first glance, take a second to think about how awesome it truly is. We thought so. After selecting a player and court, of which there are multiple to choose from, players battle out their differences by shooting discs at each others goal. Much like in Air Hockey, players are constantly on both defense and offense. There are special abilities and zones at play that must be utilized to be effective at the game. Matches are separated into sets that last thirty seconds each. Whoever has the most points at the end of the set wins it, with two sets needed to win a match. 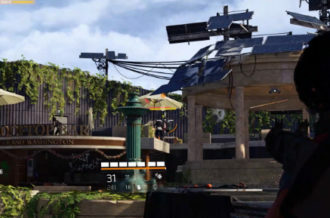 The game features both single player and multiplayer, both of which offer fast-paced thrills, but many will prefer the rivalry sparked in multiplayer. The gameplay is solid enough to offer fun regular competition between friends, while the aesthetic and tone that have made it a cult classic will appeal to those going it solo. Helicopters shooting dinosaurs; awesome, right? 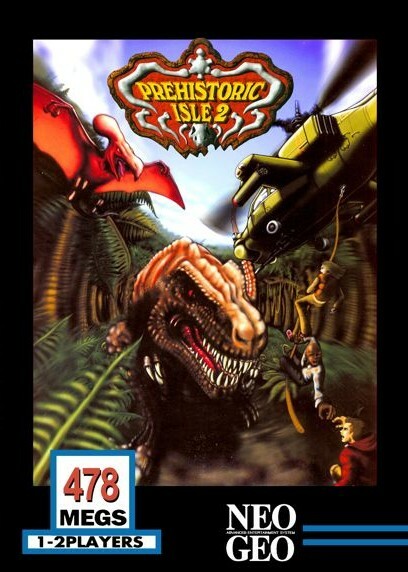 That’s the entire premise behind Prehistoric Isle 2, a sequel to Prehistoric Isle in 1930. While both games are excellent, Isle 2’s improved graphics and sound (a late Neo Geo MVS release in 2000) gives it the edge. Prehistoric Isle 2 takes place in the present where dinosaurs have invaded an unnamed big city. The last line of defense? Two helicopters for some reason. Now you must navigate a city on the brink of collapse and take out the menacing ‘saurs while rescuing innocent civilians. 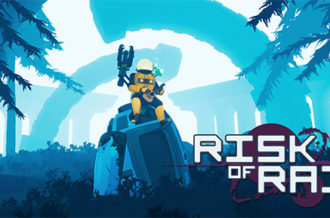 The game is a side-scrolling shoot ‘em up that features some of the best animations on the platform and arguably the most creative level designs to ever grace the genre. We’re talking T.rex stomping on cars, pterodactyls in sewers and even fossils get in on the action. One of the priciest MVS games, a Neo Geo X release would be a great way to experience this fantastic shoot ‘em up. 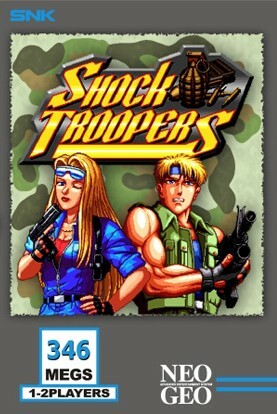 A respected, but often overlooked run and gun title, Shock Troopers is one of the best games on the Neo Geo platform. 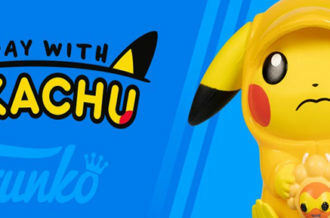 One of the most notable aspects of the title is the ability to select a team of three players, each with unique weapons and moves, to switch between on the fly during gameplay. For those who’d rather go it alone, however, an option dubbed “Lonely Wolf” is given. After selecting from eight distinctive characters, players can choose between multiple routes, including mountain, jungle and valley and get ready to kill some Bloody Scorpions. Gameplay takes place from a top-down perspective, which is a refreshing change of pace from the many side-scrollers on the platform. It’s a blast through and through and features a meaty campaign that begs to be played multiple times. Its 8-way joystick gameplay is a great fit for the Neo Geo X’s thumbstick and seems like the perfect candidate for a two-pack release with its sequel, 2nd Squad.